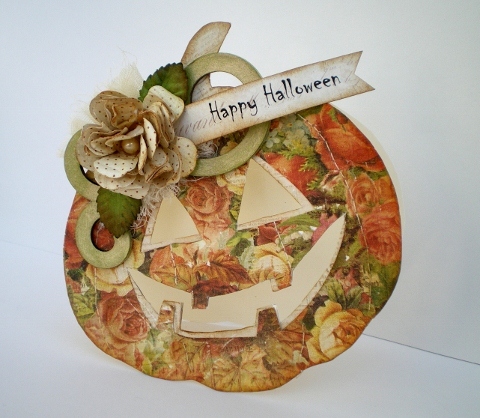 My make over on the Bubbly Scrumptious blog this week is a Halloween card with a bit of a difference, To make it you don't need any Halloween stash, just some patterned paper, any patterned paper, it just needs to be pumpkin coloured! There's a how to- make it over on the blog. This is the only card I've managed to create this week, don't know why I just can't get inspired with the paper and glue. So I've been knitting and baking instead. I hope to be back soon. 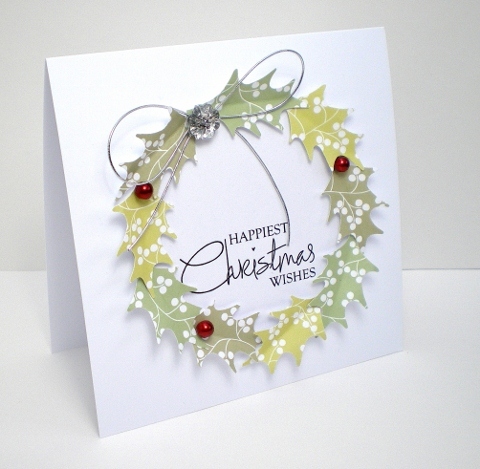 I've been playing with the wonderful new Christmas releases from Pink Petticoat and here's my first card using the Berries and Handwritten Sentiments downloads. Finished off with a sparkly button from the Ribbon Girl and some pearl beads. I'll be back with some more makes before the week is out. While I'm here I must just tell you about the lovely afternoon that Emma and I spent at QVC yesterday, first we had a tour of the 'Craft Prep' room, then some lovely lunch and just before leaving we sneaked in to the studio to see Marion's Creative Keeepsake show being filmed, what a day! Edited to add: The Holly punch I've used is a Woodware one! 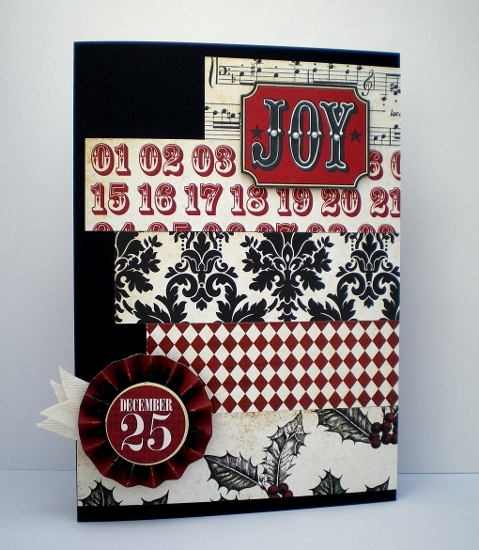 As it's 25th of the month it's time for another Jingle All The Way To Christmas challenge over on the Ribbon Girl blog. 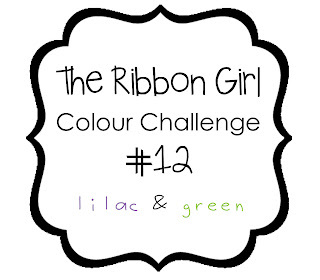 To enter the challenge all you need to do is create a new Christmas themed project, blog about it mentioning this challenge then link your project over on the Ribbon Girl blog. The challenge will run for 2 weeks and will end on Tuesday 8th November at 9PM UK time. This week over on the Bubbly Funk blog it's Product Focus week, and we're focusing on Maya Road Chipboard and Eco Green ink pads. I've made a mini album using a Maya Road Coaster set. 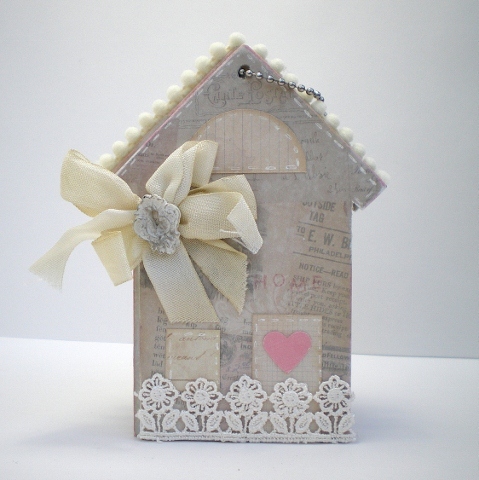 Pop over to the blog for more info on my make and lots of mini album inspiration from my team mates. Thanks for stopping by and enjoy the rest of your weekend. I'm getting busy with my knitting needles this evening, gotta finish my scarf, it's freezing! I shall post a pic when it's done! Simple treat bags today. 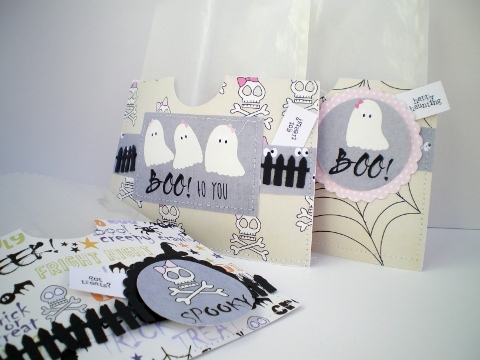 Just take 2 pieces of cardstock about 14 x 10cm, stitch together to form a bag and decorate with all your spooky stash. Tuck a paper/glassine bag of sweets inside and you're ready for when the trick or treaters come calling! 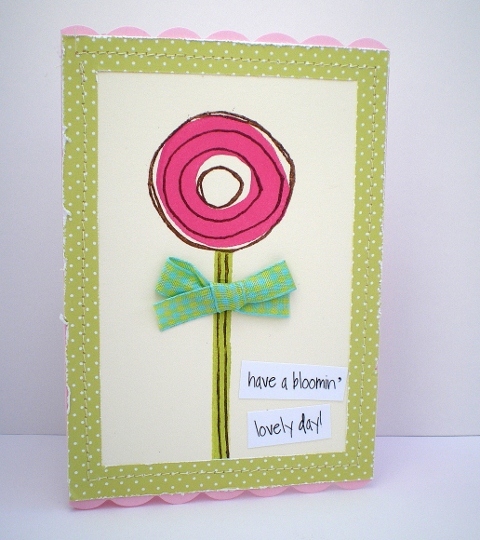 Today is my turn to post over on the Bubbly Scrumptious blog. 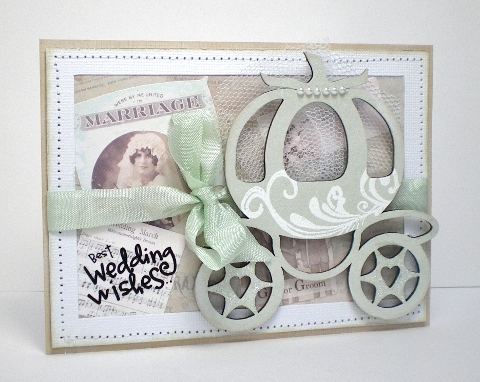 This week I've created a wedding card using a Tando chipboard carriage and Melissa Frances papers and cardstock stickers. 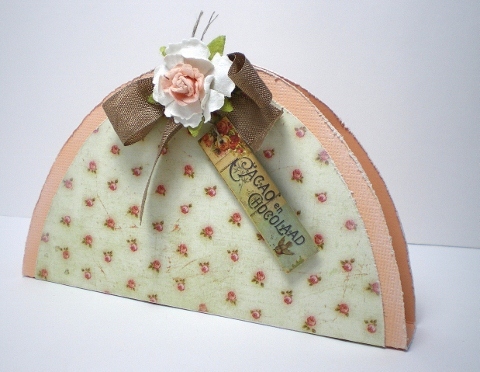 Don't forget there's a chance to win some lovely Jenni Bowlin products from the Bubbly Funk Shop - link on my sidebar. 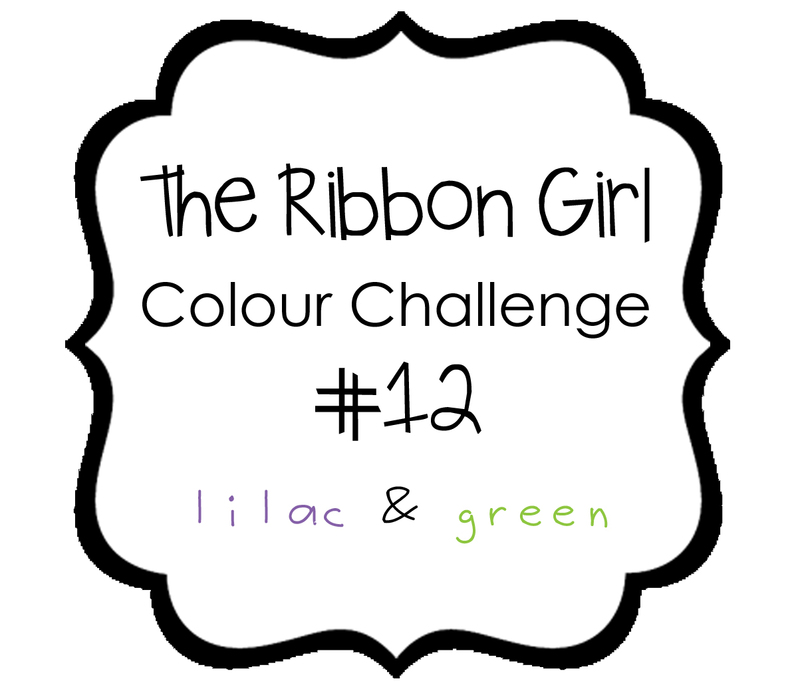 It's time for another colour challenge over on The Ribbon Girl blog. The colours of lilac and green were chosen for us by the lovely Kath. There's a lovely prize up for grabs for one lucky winner, so why not join in the fun this month. 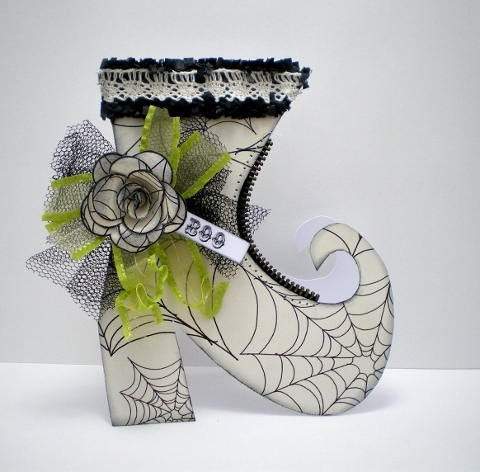 Check out the blog for all the details and lots of lovely inspiration from the rest of the DT using ribbons, buttons, charms and lace all available from the Ribbon Girl online shop. 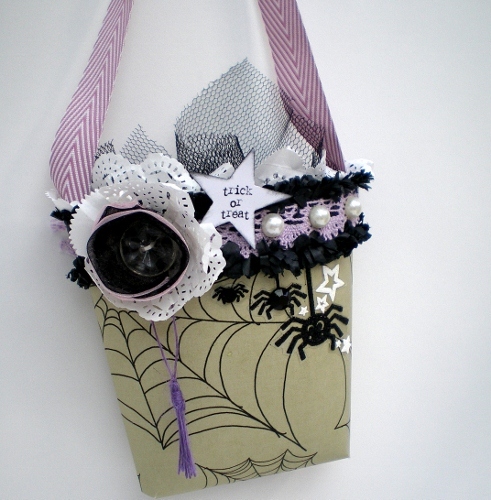 Tissue paper, paper doilies, black tulle, fabric scraps and vintage glass button. I'm not really a Halloween fan, probably because I'm so easily scared lol! 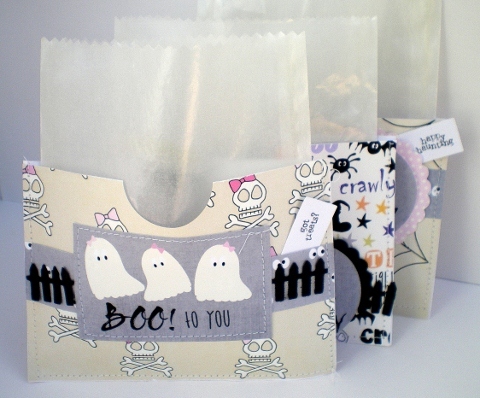 I do enjoy making Halloween projects though , so I just had to find time for this week's challenge over on the City Crafter Blog - A Boo-tiful Color Challenge. Now I really need to get back in the kitchen, those pots won't wash themselves. 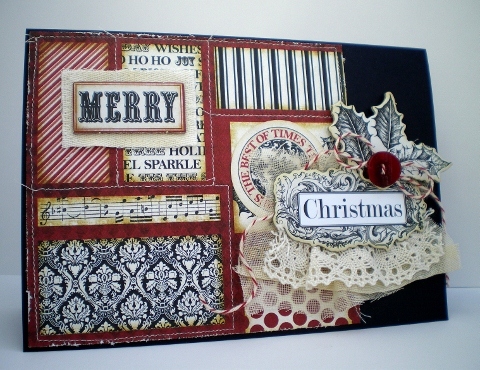 Just a couple of Christmas cards I made using the Teresa Collins Noel Papers and Chipboard elements. I've never worked with a complete kit before. I normally just go for the 6x6 paper pad and then it stays in the cupboard because none of my other supplies match it! 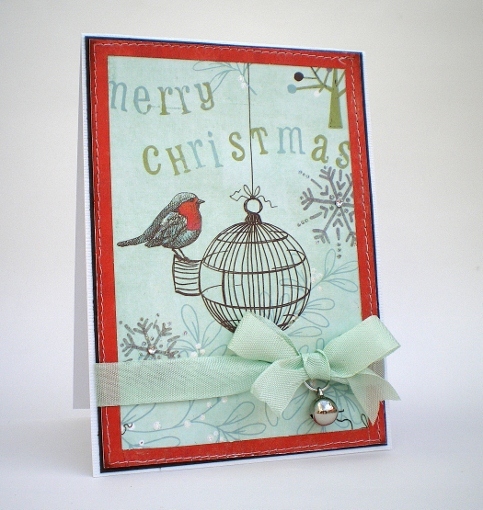 Using a kit makes cardmaking a breeze, just perfect for Christams cards. Muslin and Cotton Twill Ribbon. 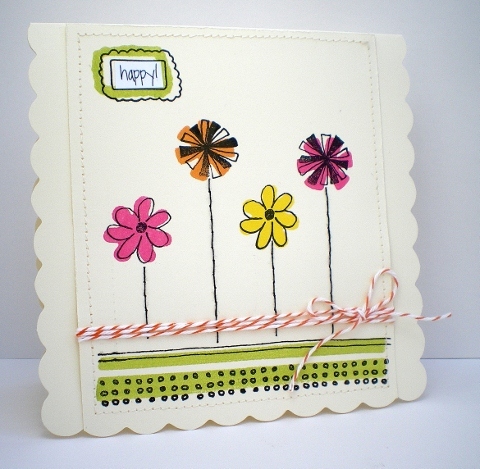 I've been making some card samples for the new Craft shows on QVC. Once the cards have been on-air I can post the pics here on my blog. So here are a couple that were on Dyan Reaveley's show a couple of weeks ago. 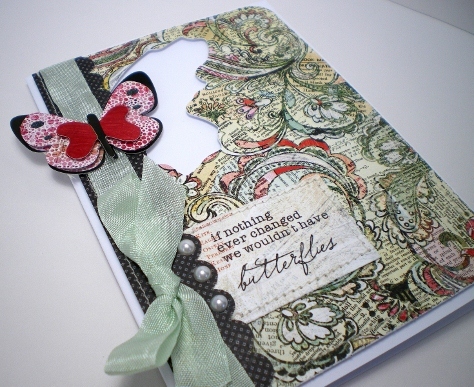 They were made with Claudine Hellmuth Creative Layers Stamps. So much fun to work with. I used acrylic paint with the foam stamp, let it dry, and then stamped over the top with the matching acrylic stamp and archival ink. Today I'm sharing how to make this simple treat holder over on the Bubbly Scrumptious blog. 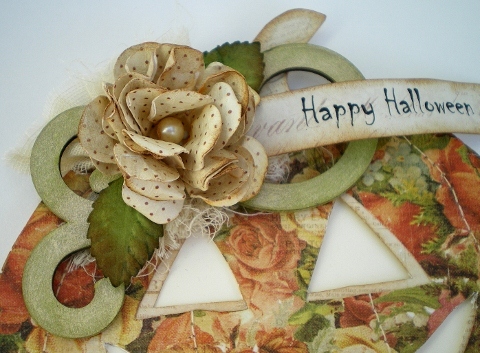 I've chosen a vintage style for mine but it could work for Halloween or Christmas. Go HERE for how to make it. Thanks for stopping by today. Must go, I'm off to the Knitting and Stitching show at Ally Pally tomorrow and I haven't written my shopping list yet! 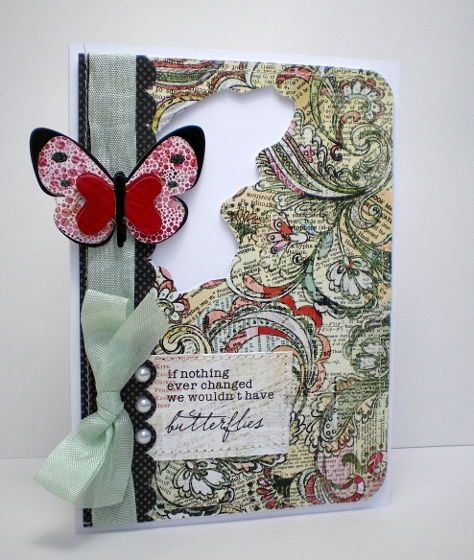 There's a new Inspiration Board challenge over on the Bubbly Scrumptious blog. All you need to do is create something using this board as your inspiration. It could reflect the colours, be something that jumps out at you such as the hearts or flowers, or what the board suggests to you. The prize is over £40 of Jenni Bowlin products! Here's my project - another door hanging - love making these. 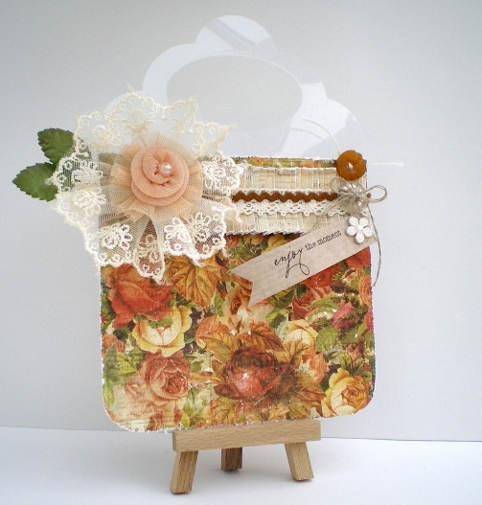 For this one I've used lots of lovely Prima Products from the Bubbly Funk shop. Check out the blog for the competition rules and lots more inspiration from the DT to get you going. Can't wait to see what you create!